The showdown gained steam on Friday afternoon when Richard Cordray, who had been leading the CFPB since its inception, tendered his expected resignation, saying he was leaving at the end of the day. Another key event that day was the CFPB naming Leandra English as deputy director of the agency. She had been serving as the agency’s chief of staff. That latter development ( a “serious Jedi move,” according to one observer) was important because “Under the Dodd-Frank Act that created the CFPB, English would thus become acting director,” the Associated Press notes. Cordray also cited Dodd-Frank in his outgoing letter to colleagues for why she would now fill the role of acting director. Hours after Cordray resigned, however, the White House issued a statement announcing that head of the Office of Management and Budget Mick Mulvaney would serve as acting director of the CFPB until a nominee is confirmed by the Senate. 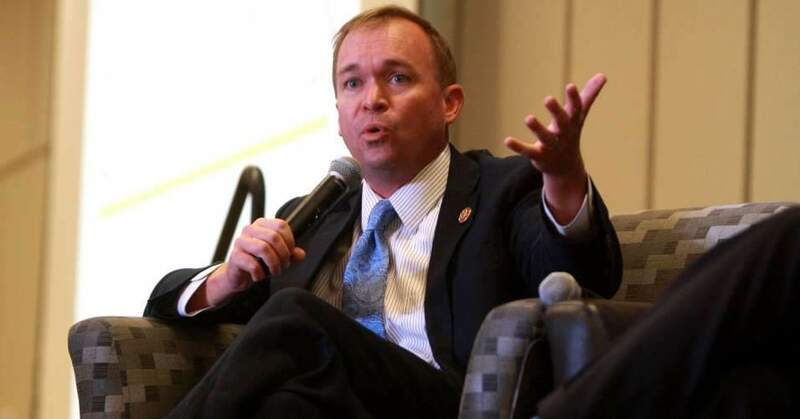 Mulvaney, it should be noted, has criticized the CFPB as “a joke in a sick, sad sort of way“; said “I don’t like the fact that CFPB exists, I will be perfectly honest with you”; co-sponsored legislation to kill the CFPB, and called the agency “the very worst kind of government entity.” As such, his appointment follows a trend of Trump appointments. Some lawyers argue that the CFPB’s deputy director takes over when the director leaves. Cordray cited a Dodd-Frank Act provision in defense of naming English on Friday. But there are other lawyers who say that laws governing federal vacancies should take precedent, which would allow Trump to install Mulvaney an interim basis. Federal officials doubled down on Saturday on Trump’s authority to appoint Mulvaney, Reuters reports. Others however, including CFPB architect Sen. Elizabeth Warren (D-Mass. ), vehemently disagree. the legislative history around the creation of the CFPB. There were competing sections on the order or succession in the event of the director’s departure in the House and Senate versions. One specified that the normal procedure on vacancies, in which the president gets to appoint an acting director, would be followed. The other had language indicating that the deputy director would become acting director until a new director was approved by Congress. This was the language that was used in the final bill. That supports the interpretation of the Democrats that the deputy director should fill in as acting director until Trump nominates a person to be director and that person is approved by Congress. Warren, for her part, tweeted Friday evening: “The Dodd-Frank Act is clear: if there is a @CFPB Director vacancy, the Deputy Director becomes Acting Director. @realDonaldTrump can’t override that.” She also included the text of that provision. Minutes later, she tweeted: “. @realDonaldTrump can nominate the next @CFPB Director – but until that nominee is confirmed by the Senate, Leandra English is the Acting Director under the Dodd-Frank Act. Cordray retweeted those tweets from Warren. Mike Calhoun, president of Center for Responsible Lending, echoed Warren, pointing to Dodd-Frank as evidence for English assuming the acting director post. “The Wall Street reform law, which passed in 2010, clearly states that if there’s a CFPB Director vacancy the Deputy Director becomes Acting Director,” he said. “Naming Mick Mulvaney—someone who’s adamantly anti-consumer—rewards financial predators and fails to put consumers first. Polls have consistently shown that the public, across all party lines, want a strong CFPB to look after their interest, not the interest of abusive financial actors,” Calhoun said. This entry was posted in Banking & Lending Issues, Civil Rights, Corporate Personhood, Corruption, Economics, Government, Income Inequality, Social Justice, Women's Issues, Workers' Issues and tagged Capitalism, CFPB, Civil Rights, Consumer Finance Protection Bureau, Corruption, Dodd-Frank, Donald Trump, Economics, Elizabeth Warren, Equality, Income Inequality, Leandra English, Mick Mulvaney, Richard Cordray, social justice, Women's Issues, workers' issues on November 26, 2017 by ew.